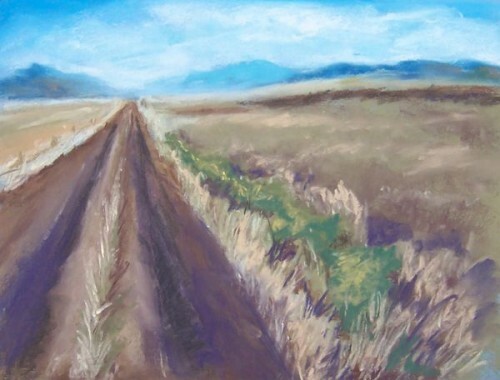 This entry was posted on Monday, August 20th, 2012 at 8:37 am	and is filed under Color, Landscape, Paintings, Pastels. You can follow any responses to this entry through the RSS 2.0 feed. You can leave a response, or trackback from your own site. I’ll repeat what Thom said, “Great perspective”. I also sense the loneliness on this road, perhaps due to the title, “Say Goodbye”.